Powder coating provides a durable, unique finish to this collection of fire pits. Available in 5 standard colors, the clean lines and modern look of this collection of fire pits creates a stunning gathering place. Each fire pit is hand crafted by our skilled craftsman in Texas. 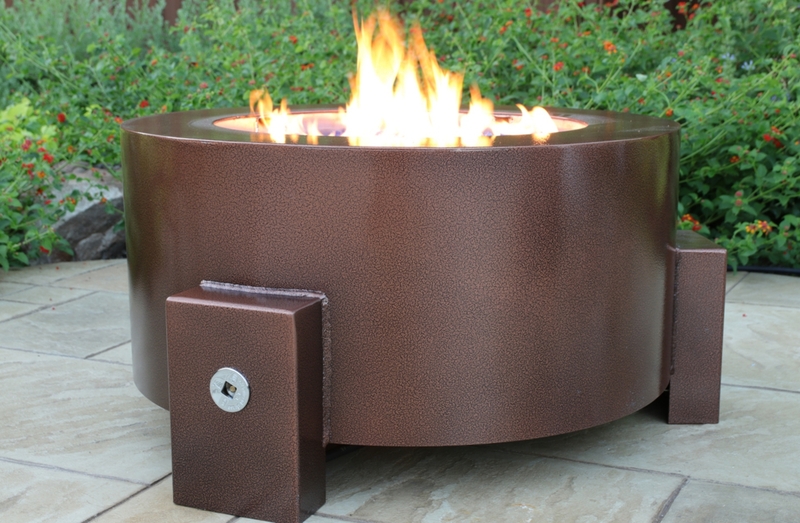 Our powder coated fire pits are available in hidden tank, remote propane and natural gas configurations. This model includes a stainless steel fire bowl, stainless steel fire ring, stainless steel no whistle flex line, key valve, and propane hose and regulator (hidden tank only). Be the first to see new products and savings! Copyright © BentIntoShape LLC All Rights Reserved.